For most students, spring means exam season and all the stresses and pressures that brings. But for one Aberdeenshire woman, it meant an all-together tougher test. 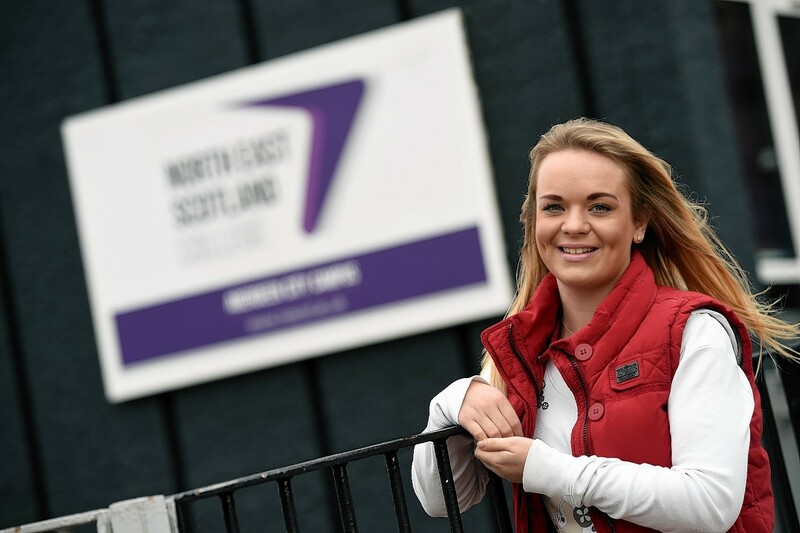 Earlier this year, in March, Lois Reid, from Old Rayne, was approaching the end of her second and final year studying legal services at the North East Scotland College when she was admitted to hospital with kidney failure. When she was just two-years-old, Ms Reid caught e-coli which led to her having to undergo a kidney transplant at the age of six. The average lifespan of a replacement kidney is between eight and 12 years and after 15, Ms Reid’s stopped working. Tomorrow, the 22-year-old graduates from college and says she couldn’t believe it when she found out she had passed the course. She said: “I was over the moon, and so relieved. I was so nervous to open my results because I didn’t think I would have passed. Ms Reid spent six weeks in hospital as doctors tried to save her kidney. During that time, she did not give up hope on passing her course and thankfully, had the support of her boyfriend Michael Farquhar who brought notes and information from college every day. She continued: “I was basically doing the work myself from hospital. “When I got out, I spent a week solid in college, coming in on my days off and catching up. Ms Reid has now gone directly into third year of a BA(Hons) in Law and Management at Robert Gordon University but has to have dialysis treatment three-times a week while she is on the transplant waiting list. She added: “Life is pretty busy between my dialysis, university and working part-time but I’m really glad I came to college and proud that I have achieved my HND.